Hector Armienta, a nationally recognized composer, focuses on creating work that explores the Mexican and Mexican-American cultural experience. His awards and commissions include those from Meet the Composer, the National Endowment for the Arts, Arts International, Opera Pacific, the Pacific Symphony, Opera Southwest, Oakland East Bay Symphony, and Western Stage Theater. His work for orchestra, theater, and opera has received support from four NEA grants in artistic excellence. As an opera and music theater composer, he draws on stories and music that represent his bi-cultural roots. His music theater trilogy, Aguas Ancestrales/Ancient Waters, is such an example. Inspired by the life of Mr. Armienta’s grandmother, the trilogy draws upon the natural and spiritual element of water. 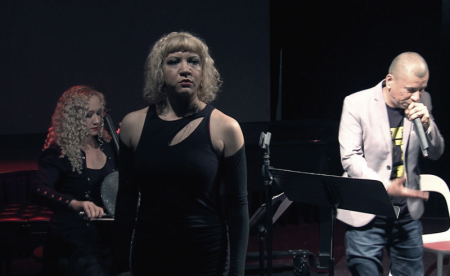 Parts of the trilogy have been performed by Opera Pacific, Western Stage Theater, The York Theater in New York, Philadelphia’s Center City Opera, and most recently in Barcelona Spain. Described by the San Francisco Chronicle "superb" and delivering a "tender, radiantly pure-toned" sound, soprano Alexandra Sessler has garnered a reputation as a powerful leading lady, a dedicated actress, and an ambassador of classical vocal music. A favorite in the San Francisco Bay Area, Alexandra has frequently performed with the San Francisco Opera Guild, Pocket Opera, Lamplighters Music Theatre, Golden Gate Opera, and the San Francisco Symphony, as well as with West Edge Opera and Prodigal Opera. She has been seen in leading operatic roles including Nedda in I pagliacci, Pamina and The Queen of the Night in The Magic Flute, Mimì and Musetta in La Bohème, and in supporting roles such as Despina in Così fan tutte, Sara in Armienta's La Llorana, and Elizabeth Keckley in John Cepelak's Lincoln and Booth. Equally talented in the operetta repertoire, she has performed the roles of Phyllis in Iolanthe, Edith in The Pirates of Penzance, and in the title role of Princess Ida. Deeply involved in the Spanish repertoire, Alexandra frequently appears with Opera Cultura as part of her mission to help broadcast the underperformed classical music of the Spanish speaking community. She was the first recipient of Opera Cultura's Young Artist Fellowship and was featured in their production of Armienta's Cuentos de Peregrinaciòn, performed at the Teatro Degollado in Guadalajara, Mexico in 2014. She reprised the role in 2015 as part of New Works Forum at Opera America's National Opera Conference. 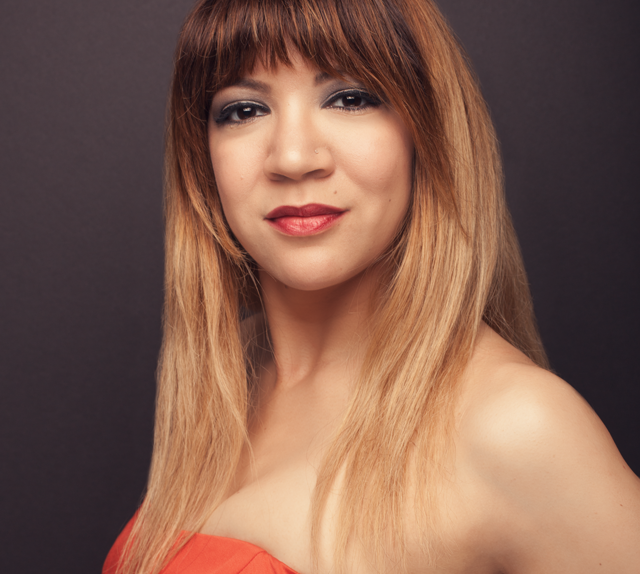 Alexandra also performs Zarzuela and new works in recital for Opera Cultura. An avid recitalist, she is also dedicated to performing the music of women composers. Alexandra has been featured as a soloist with the San Francisco Symphony Chorus in works including Stravinksy's Mass, Bernstein's West Side Story, and Mass Transmission by Mason Bates. She is also regular member of San Francisco's newest all-professional chamber choir headed by Ragnar Bohlin, Cappella SF, with whom she was featured as a soloist on Light of Gold, a Christmas album released on the Delos label. Alexandra holds a Master of Music degree from San Francisco State University and a Bachelor of Music degree from the University of Miami. She has received additional training in programs including La Scuola Italia in Italy, University of Miami at Salzburg in Austria, and Intermezzo. Emcee Infinite (Carlos Aguirre) has been performing in the Bay Area and beyond for over 14 years. He is part of the musical group Felonious where he doubles as emcee/beatboxer. He has shared the stage with the Jazz Mafia, the Black-Eyed Peas Eryka Badou, Mary J. Blige, Macy Gray, Blackalicious, and George Clinton among others. He is also part of the all beatbox collective known as The Vowel Movement, which is dedicated to bringing vocal percussion as an art form to the forefront of musical expression. Carlos shares his experience by teaching at various schools and at risk environments throughout the Bay Area. He most recently taught a Literacy through Poetry and Songwriting class at two correctional facilities in the Bay Area. He has used his vocal percussion workshops to help ESL students improve diction and clarity. 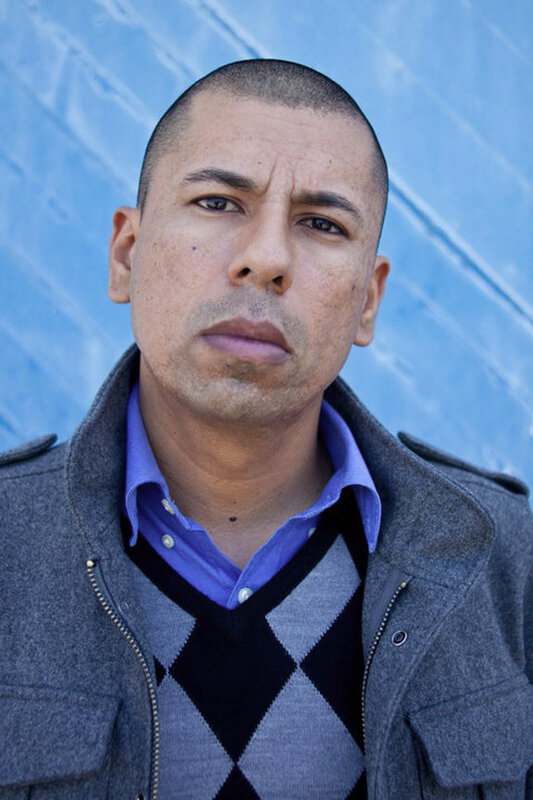 He has worked with LYRICAL MINDED, a San Francisco based collective of urban teaching artists, in various group homes and schools in San Francisco and ‘literacy through theater' programs WORD FOR WORD and STAGEWRITE. His work has helped many different students from various demographics gain skills to better express themselves. He is dedicated to preserving the voice of the youth and the culture of Hip Hop. Cellista is an American cellist, interdisciplinary artist & the artistic director of the performing arts company Juxtapositions. She is known for her collaborations with artists across various media, as well self-producing live performances in unconventional spaces that incorporate elements of classical music, theater, improvisation and visual art across a range of genres including pop, hip-hop, classical and more. 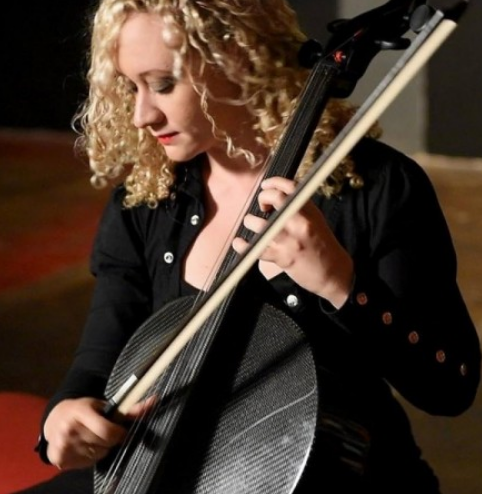 These performances often feature a carbon fiber cello and loop station. Her interdisciplinary exhibit The End of Time which premiered alongside internationally renowned visual artist Barron Storey's solo exhibit Quartet at Anno Domini art gallery in downtown San Jose with her chamber music collective the Juxtapositions Chamber Ensemble received critical acclaim. The dual exhibition, created in tribute to French composer Olivier Messiaen's seminal chamber work The Quartet for the End of Time, received mention in Juxtapoz Magazine. A noted session musician for both recording and live performance, Cellista has worked with Grammy-nominated artist Tanya Donelly, producer John Vanderslice, Don McLean, Casey Crescenzo, and Van Dyke Parks. Cellista's debut full-length album Finding San Jose engineered by Maryam Qudus (Doe Eye) was released in Fall of 2016. The album and its subsequent release as the soundtrack for an interdisciplinary ballet directed and produced by Cellista received favorable reviews. She is currently working on her forthcoming album Transfigurations. Transfigurations is an album of noise and sound textures as well as chamber music featuring original compositions and commissions from Bay Area artists. Its premier track Wants debuted as an interdisciplinary art installation in February of 2017 at Little Boxes Theater. Wants was featured on KQED Arts 100 Days of Art and will be shown as a film at the 2017 Diamond in the Rough Film Festival.